PLUS 2 FREE Stamp Sets until March 31, 2017. For only $99, you can start your own business by sharing your crafty projects. Or, you can simply enjoy getting your own 20+% discount. Plus, we have monthly virtual meetings and an EXCLUSIVE Team Facebook Page! For only $99, you can start your own business by sharing your crafty passion. Or, you can simple enjoy getting your own 20+% discount! Plus, we have monthly virtual meetings and an exclusive Team Facebook page! No matter if you join as a hobbyist or want to start a business, I'm here for you. I will support you anyway I can. Everyone is treated equally on my team! 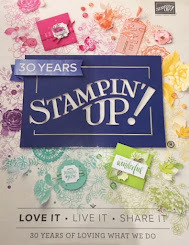 We have a wonderful positive community, where everyone can share Stampin' Up! projects, participate in swaps, weekly challenges and more! Join today and receive a special welcome package from me! $300 quarterly minimums, that can be met by personal orders, online orders or orders from friends and family. Stampin' Up! also hosts events every 6 months, where you can join other demonstrators for some Stampin' fun and see NEW product demonstrations.